A couple of years ago, our daughter Taylor was in the public school system at a local high school in the gifted program, and though some accommodations had been made available to her, she was still struggling on many fronts and severely under-producing considering her potential. Taylor went from barely being able to get out of bed to attend public school, to having to take a GO train and subway every morning to get to school. We were amazed at her devotion to school considering the travel, and she missed very little time at all over the past few years in comparison to the time she was off while attending school around the corner from our home. Her marks went from mid-range 70’s (at times barely) to high 80’s and 90’s. Blyth gave Taylor the time and attention she needed to figure herself out combined with external counselling that we sought out, and has brought Taylor to a point of preparedness for work-life and post-secondary educational experiences. The 10-week semesters focused on two courses instead of four were also an immense help for our daughter. The classes were more intense, and without the need to spread time between so many subjects and the deadlines accordingly helped Taylor’s progress. Taylor is a lovely young woman with a bright future full of potential, and is now willing to take responsibility for herself, her choices, her actions, and the path towards her future. We are thankful for the time that was invested in our daughter over the past two years of transition for her. Blyth has made my son actually like going to school. He feels safe here and his interest in learning has improved. I am very pleased to hear that my son had made the honour roll. He had never made the honour roll in the other schools he had attended. I credit this to the outstanding teaching staff at Blyth. They truly care about the students. My son had mediocre attendance and engagement for his first three years of high school. He transferred for Blyth for Grade 12 and his attendance improved to 100% and his marks improved from an average of 68% to 83%. He is now eligible to attend the university of his choice. This was a very successful academic year for my son. My son completed Grade 9 and the first semester of Grade 10 in the public school system. His marks were steadily declining to the point of failing or almost failing most subjects. This was a child who graduated Grade 8 with honours. We knew if something drastic didn’t take place immediately, his future was at stake. That’s when we turned to Blyth. It was the BEST decision we ever could have made. He is once again excited about school and has his marks back to where they used to be. Thank-you Blyth for giving my son his future back! This was a great Grade 12 year for my son. The teachers he had were amazing and so supportive. He enjoyed the intimacy of small classes and will enter university with a rock-solid understanding of fundamentals. He became immersed into the community of Blyth through student council and had a fantastic year. Thank you Blyth. Our daughter was lost in a class of 40 at her former school. At Blyth, she has personal attention and her marks reflect her happiness. We are ‘over the moon’ to see her enthusiastically going to school each day! The teachers at Blyth are proactive in their approach to teaching the curriculum. Now she has eight pupils in her class, receives personal attention, and her marks have improved dramatically. I love to see enthusiastic teaching efforts. You guys rock! Our son, Aaron, returned to Ontario from the US in 2012 to join the Ontario Ski Team. He was entering Grade 12 and was faced with integrating into the Ontario curriculum following two years in the US. He was determined to graduate without taking an extra semester; our research said the task was daunting, to say the least! We were quite nervous about mixing school systems, but the administration and staff at Blyth have been incredibly helpful and proactive. When we found Blyth, we knew we were in the right place. 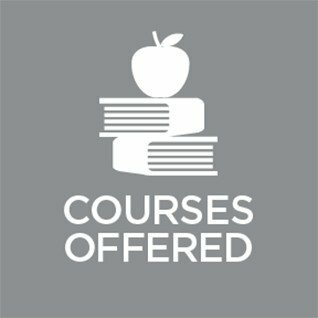 In addition to making sure that all credits were transferred, they have been flexible and accommodating with delivering the course work. The teachers have been flexible and supportive of Aaron’s extensive travel and competition schedule allowing him to succeed at both his athletics and academics. Thank you for a job well done! My daughter’s experience almost made me want to return to high school myself! I wish more young people were able to avail themselves of this type of one-on-one learning experience. Keep up the good work! Blyth has provided my child with a tailored, one-on-one learning opportunity. She receives the attention and guidance required to enable her success. Blyth has supported her passion to learn and made her feel very comfortable and welcomed. This has enhanced her learning experience. Small student-teacher ratios allow students to be involved in their learning. Teachers also have the opportunity to get to know their students and be aware of their learning styles and where they are in their learning. This relationship allows for clearer communications with home, program modifications, and student accountability. The small school setting creates a calmer atmosphere and an awareness of each other. No one is left behind or lost within the crowd. My son did not fare well in large classes where he got lost in the crowd. He did not speak up in class, hated to talk in front of a group, and was not excited about going to school. When he was at public school, he would complain that school had been a waste of time because he didn’t learn anything new. He is now excited about his classes, speaking up and really participating. I wish I had sent him to Blyth years ago. Attending Blyth was entirely Dakota’s idea. After much advocacy on her part, we came down to an open house. From the moment we stepped in the door, we could feel a wonderful atmosphere and my hope rose up to join Dakota’s. Grade 12 at Blyth was the best year of Dakota’s educational career. Your school made Dakota’s final year of high school not only a happy and joyful learning experience, but her confidence and belief in her own potential was greatly enhanced. I cannot thank you enough for developing and running such an important school. Dakota continues in her learning in the fall at Guelph University and thanks to Blyth Academy, she is in good stead in many areas of her life. I cannot thank you enough. Blyth has been a wonderful experience for our son. He has done a complete 180 in terms of his interest in learning, is taking pride in his work, and his educational self-esteem has skyrocketed. He is graduating from Grade 12 this year and we are very happy that we decided on Blyth for his final year. Thank you Blyth and all the best! Blyth Academy is a school I would recommend for several reasons. I love the small class size; no matter what kind of learning style your child has, your child will reach his or her full potential in this environment. There is not a “blanket” approach; every child’s needs are met and taught accordingly. The teachers are caring, compassionate, and most of all passionate for the kids and are eager to see them succeed. Having tried both private and public schools for the duration of my two children’s education, by far private education offers the student more choice, more guidance and more stability in the programming. Blyth is an example of this type of exceptional learning environment. Blyth offers very convenient and flexible scheduling for the high school student and makes use of this time to help the students transition into the university/college type of independent learning. Why wait until your student enters college or university to get this type of learning and see if they can handle it? The sooner they are independent learners, the more successful they will be in a university or college environment. Blyth offers the perfect alternative between public high school and expensive private schools. I honestly don’t believe that my son would even be attending high school if it weren’t for the individual and caring attention that he has received from the staff and teachers at Blyth. We would recommend Blyth to any parents trying to help their child advance to a very competitive post-secondary educational system. Sending our son to Blyth was a crucial step in ensuring that he was taking himself and his school work seriously. All the teachers and staff at Blyth encouraged him to stay focused on his strengths and hold a strong vision for himself. He has now been accepted at St Andrews in Scotland and, as a family, we are so pleased. We are also confident that he has been prepared well for the next stage of his academic career. I am very happy with the experience that both of my children have had at Blyth. The school staff members clearly enjoy their work, engage the students and encourage students to reach a little higher and believe in themselves. The school is inclusive and diverse. I have recommended it to several of my colleagues who have enrolled their children and they have been pleased as well. My eldest has experienced great success in post-secondary education and my son is approaching post-secondary education with confidence. I came to your [Jessica’s] office on my first day at Blyth about a year ago and said that I was going to Dalhousie and that there was no other option. Well now that I am living in a house in Halifax going to Dalhousie, it seemed fitting to give you [Jessica] a massive thank you. Thank you for all your patience, hard work, understanding (I can be painful to help), and the laughs. Honestly, you [Jessica] were so helpful and really cared and it meant the world to me. A big part of me being here is attributed to you so again thank you so much. Your support and guidance were unbelievable! Kristopher was a student at Blyth for only one term and is no longer a student of yours and yet that did not stop you from reaching out and helping him! We are so lucky Kristopher realized the issue when he did! After a lot of pressure on the school he went to, a lot of hustling and emails Kristopher sent to each university explaining his issue, he received acceptances to all the programs he applied to. I was very impressed with the swift response from each school. You can imagine our relief! In the end, Kristopher chose Communications Management at Laurier. He is very excited and looking forward to the next chapter. On another note, we have taken a very bold step and are sending our daughter Meghan to Blyth Global School next year. She is very excited for what should be a once in a lifetime learning experience! Thank you again for your help! I’m still blown away by your support and thoughtfulness. We are eternally grateful to you! I was reviewing my notes from Econ after my lecture and noticed I was going back to my grade 12 econ notes to help me out, this then lead me to reminisce on my year at Blyth. I wouldn’t have gotten to King’s, let alone any school in the UK if it weren’t for you guys. I am really enjoying it here in London although school is extremely tough and it is hard to be away from home. I hope to come visit sometime this year. Thank you again for all you have done, I hope you know how much of an impact you make on all your students. Blyth teachers and administration are highly respectful of the student’s academic and personal needs. This is apparent right from the beginning and lasts until after graduation. With this kind of atmosphere, students respond positively and it is natural that they are motivated to do their very best. The teaching quality and responsiveness of the school to student academic needs is unparalleled. The staff at Blyth has taken the time to really get to know my child. Our daughter received wonderful encouragement from her devoted teachers to be able to succeed and her high grades are testimony to that devotion. Engaging and passionate teachers have made our daughter’s final year of high school one of her best! Caring, nurturing place, unique learning opportunity. My son attended the Yorkville campus, which provided a unique experience because of the location. The teaching staff there were terrific, and their guidance was great! Port Credit is smaller but had a great sense of community. Jenny has been an amazing support, and Kristen has been helpful along the way for Sarah who attended this past year. All of the teachers Sarah had this year have been patient, kind, and supportive of Sarah and our family. I found the teachers and administration to be top notch. They were highly responsive and flexible.